We spoke recently with Mai-Ling Gibson, dog walker and owner of Four Feet - a small dog walking and pet services business in London, Ontario. We have known Mai-Ling and her resident dogs for years. 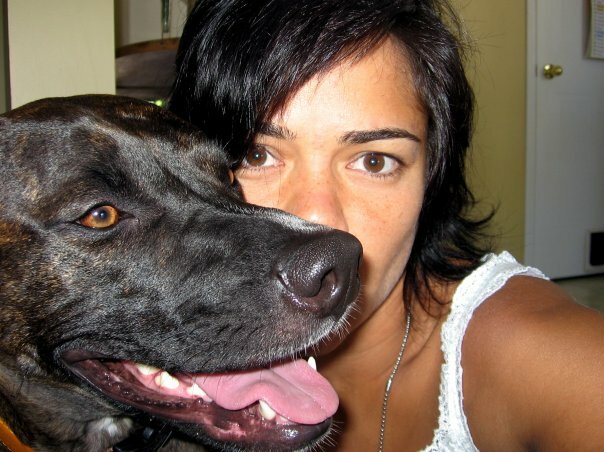 From our early days with Awesome Dogs when she was taking classes with her first rescued pooch Hank, to having her darling Loula be the feature in a Toronto Star article with one of our co-founders (hows that for street/feet/paw...cred)! Not that we’re biased, but we can’t say enough good things about Mai-Ling, her personal pets, and interactions with any dog she meets (including the fostering she has done for us). With so many dog walking/pet sitting services out there, we figured it time to discuss the important thing with a trusted and reliable/professional source! What was the reason for starting Four Feet? The reason for starting four feet was that I wanted to leave a high stress job as a social worker (for 16 years) to do something that would be good for my health, help me be more available to my own family, and to be able to be around pets every day. Animals have always been my passion since I was a little girl (which I still am by height only). How does Four Feet differ from other companies? Four Feet differs from other companies in that it is family owned, focused on positive reinforcement techniques, and I do what I can to respond to the animal's unique needs and personality with customized packages (i.e. I walk a dog named Brodi who also needs work with not barking at people and not chasing joggers or people on bikes - he's improved so much that I can take the baby and stroller with him, though I almost never have the baby when I'm working). *bing* Brodi is an Australian Shepherd. He knows what he can get away with for his owner and Mai's expectations of him are different. She is consistent. Dogs are simple - they do what works! 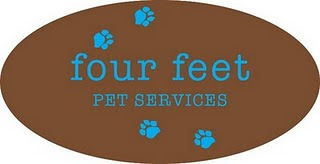 Four Feet offers dog walking, "relief" visits (letting the dog out, fresh food and water, and pick-up in the yard). I also will go in and take care of other kinds of pets in the home when their owners are away (i.e. cats, reptiles, rodents, etc, etc). *bing* Mai-Ling has owned birds, gerbils, guinea pigs, lizards, hermit and fiddler crabs and fish. What is your dog training and behaviour background? I have worked with Awesome Dogs in training each of my rescues. I met Yvette Van Veen about 6 years ago in training Hank! Yvette used only the most up to date positive reinforcements training techniques in the industry. Her programs offer gentle and highly effective training solutions in London and surrounding areas. Will you walk dogs that have restrictions placed upon them because of the current Dog Owner’s Liability act, bull and terrier breeds? I will absolutely walk pit bulls, rotties, dobes, and ANY other "scary" dog. 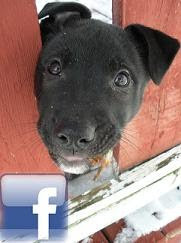 I meet with all dogs and owners prior to establishing service agreements to make sure that the dog responds to me well. It also gives me a chance to take the dog for a trial walk and see how it goes. Will you walk dogs that pull? Yes, I will walk dogs that pull and attempt to train them to be loose leash walkers. Will you walk dogs that don’t like other dogs? What safety precautions would you take? I will also walk dog who aren't well socialized with other dogs (i.e. who don't like other dogs). Precautions - I don't like muzzles really but if the owner insists, I will. I prefer to work with the dog in the moment or just cross the street and tailor the walk so that contact with other dogs is limited. Typically, I find that the owner's anxiety is the issue vs. real aggression. If a dog was truly aggressive, I'll consult with my experts! What if a customer has 2 dogs? 2 dogs - easy, the second dog costs $10.00 extra (added to the base rate). How would you handle a customer who's dog is shy? Shy dogs - same thing. Really - it's not a whole lot different than how I approach people clients when I was a social worker. It's the same premise - start where the client is and go from there and often. It's as much about working with the people client as it is about working with the canine client. It's all about assessing, problem solving, then progressing. Many of the people who have contacted me aren't contacting me for behaviour issues, but often, one is identified that could use some work. If it's basic stuff, no problem, but if it's more complicated, I'll also refer the individual to a trainer or rescuer who can help them. Thanks for answering our questions Mai! hey its really nice blog, i liked reading it and your experience and thoughts are good. i can't do all these things except Dog Walking. Walking your dog in the city requires a special level of attention and awareness. If you're a first time dog owner in the city, it's worth reading a few words advice regarding what kind of things to look out for. If you're a seasoned dog owner moving to the city for the first time, it's a good idea to think about the ways in which city dog walking differs in nature from suburban or rural dog walking. Wow great job which you have done...It is really appreciable. We know that there are many people who need walking their dog as on daily basis but sometime it couldn't because of busy schedule..Well Some days ago i have also hired Dog Walking Services of http://www.narpsuk.co.uk/ . It may be also a nice for those who want to hire dog walking services.